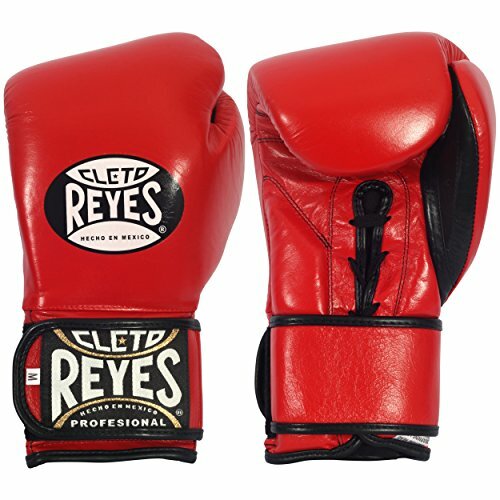 Since their introduction into the boxing world in a 1945 world championship fight, Cleto Reyes has long been a global go-to brand for both professional and amateur boxers alike. Prominent in any boxing event on television; most professional boxers have worn them at one time or another. Even if your favorite boxer doesn’t wear them in the ring, you can be sure to see him sporting a pair in a few of his training videos. Maybe you have been curious what the hype is all about, or maybe the introduction of the Hybrid closure system piqued your interest. While the $180 price tag is definitely on the more expensive end of the spectrum and might deter some; I assure you, these gloves are worth every penny. The sizing options for these gloves are a bit odd in that they are not sold by weight in ounces, but rather by a generic sizing system (XS, S, M, L). The pair that I am reviewing today are the Black and Red medium sized gloves that supposedly weigh in at 14oz each. Colloquial knowledge around gyms and the internet claim that the handmade nature of the gloves tends to make them weigh in a bit heavy and sometimes a bit uneven from hand to hand. I weighed the gloves myself and found the left one weighing in at 417.5g (14.72oz) and the right at 422g (14.88oz), so they are a bit on the heavy side, but more or less even. The rest of the measurements tell the story of a minimalist glove that is short and purpose made. With a 3.5in cuff and a barely padded 12cm 4.7in width at the base of the back of the hand, these gloves were not made for defending; they were made strictly for punching things. 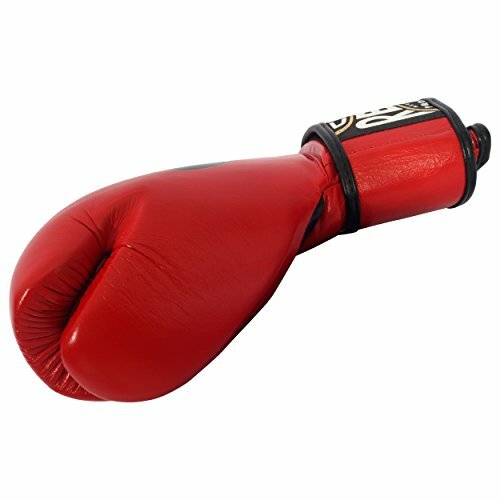 While many boxing gloves these days tend to have too much padding over the knuckles that provide little feedback and make it harder to land perfect punches, the minimalist approach to padding application demonstrated in the construction of these gloves may actually border on too little for some, depending on your boxing preference. The squared off and ultimately thin knuckles of these gloves are layer padded in the traditional way. While this means that there is no semblance of the marshmallow-like squishiness that many people with modern injection-molded gloves often complain about; there is also an extended break-in time and lots of sore knuckles in your future. Make no mistake, though, the amazing and almost indescribable feeling that traditional Mexican style gloves like these provide upon impact is something I thoroughly enjoy. Just be aware that the lack of padding along the back of the hand and wrist area means that you will feel every blocked punch a considerable amount more than with your more protective modern gloves. While by far the most arbitrary aspect of any glove, in this particular case there are some universal shortcomings that have to be addressed. The hand compartments in these gloves are very small. I have heard a fair share of people say that they have had to return this particular style of gloves due to the hand compartments simply being too small for them. At about 3.5in from knuckle to knuckle, my hands are not especially large, so keep that in mind. When I first put on this set of gloves with my wraps, they fit so snugly that I was afraid I wasn’t going to be able to use them. I ended up having to adjust how I wrapped my knuckles to compensate and they did loosen up a little over time. However, if you are the kind of person that likes to use two sets of wraps, these gloves will probably not allow that. I had also heard that some people were having trouble with the thumb compartments either being too tight or else forcing their thumbs at odd and uncomfortable angles. From what I can tell, the thumb compartments are perfectly fine, but will be a little uncomfortable until the gloves are properly broken in. From the second I opened the box, I could immediately see that a lot of care had been put into the construction of these gloves. There was not a single loose thread or visible flaw to be found. I could tell that someone held those gloves in their hands and ensured that they were truly up to standard before sending off to be sold. If there is a single complaint that I would make, it would be with the nylon lining on the interior of the glove. The lining is a bit loose over the knuckles and from time to time I can feel my fist slip ever-so-slightly upon impact. While I find the slipping a little annoying, the overall quality and craftsmanship of these gloves are outstanding. I have put a good number of hours on them and their durability is more than I could have hoped for. Thousands of punches later and they still look brand new. 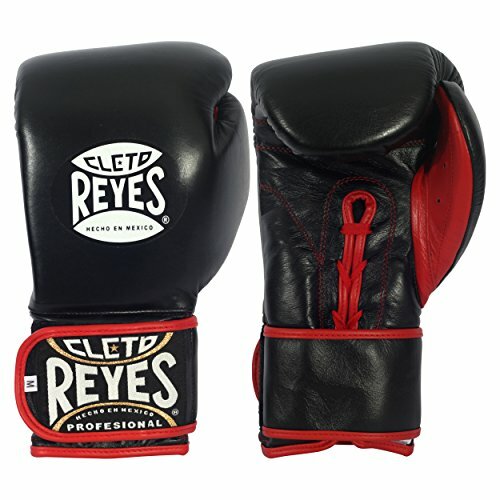 The minimalist design of the Cleto Reyes hybrid gloves is fairly common among Mexican style boxing gloves and happens to be a personal favorite of mine. Stripping away all of the unnecessary bulk and padding from a glove helps to streamline certain fighting styles. 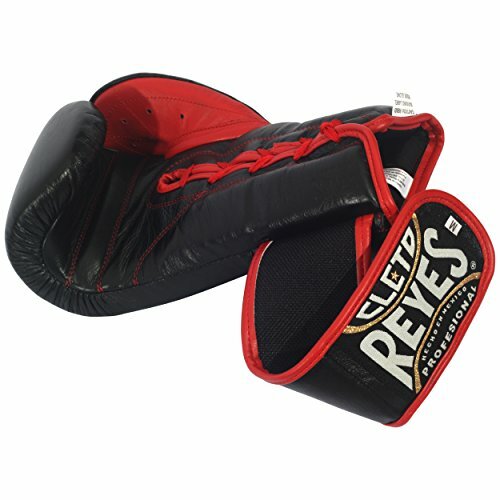 Southpaw boxers and other fighters that favor a high leading hand will appreciate the compactness of these gloves more so than someone who relies of the padding of the glove to absorb a lot of abuse. If nothing else, the minimalist approach to these gloves certainly draws attention to the most interesting thing about them; the dual closure system. While these gloves may draw the instant attention of those who tend to roll their wrists a lot while fighting and using the heavy bag, I am afraid I have to be the bearer of bad news. The wrist supports on these gloves are not the greatest. That is not to say that they are bad, just not as good as I would expect from a style of glove specifically engineered to have two closure systems. I would place them slightly higher than your standard Velcro gloves, but not as good as the quick-lace system that is seen on the newer Ringside gloves. Gloves do not make the boxer, and the world’s most expensive gloves will not make you a winner. That being said, these gloves are a bit pricy, but ultimately worth it. 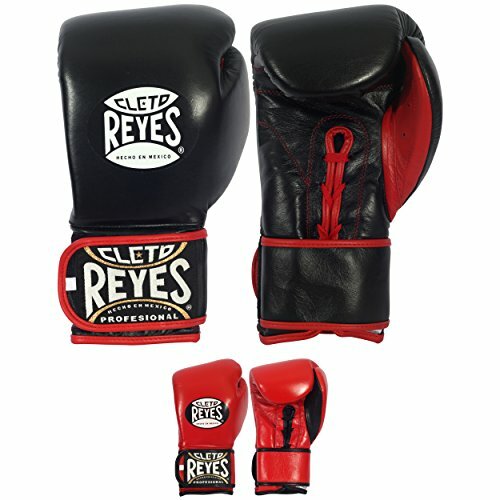 Jack purchased this pair of Cleto Reyes Hybrid gloves himself for the full price. This did not influence the outcome of this review.